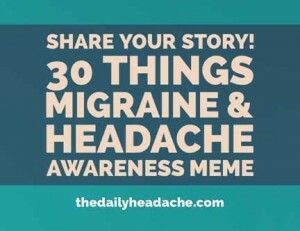 5) around 2012- a Family physician who was filling in for my regular physician dx me with migraines versus ongoing unexplainable “sinus pain/infections” that I was told was viral and all I could do was sleep it off. 19) when I have to cancel and they are okay with it. 23) accept I have limits and that “I can not be everything to everyone”.